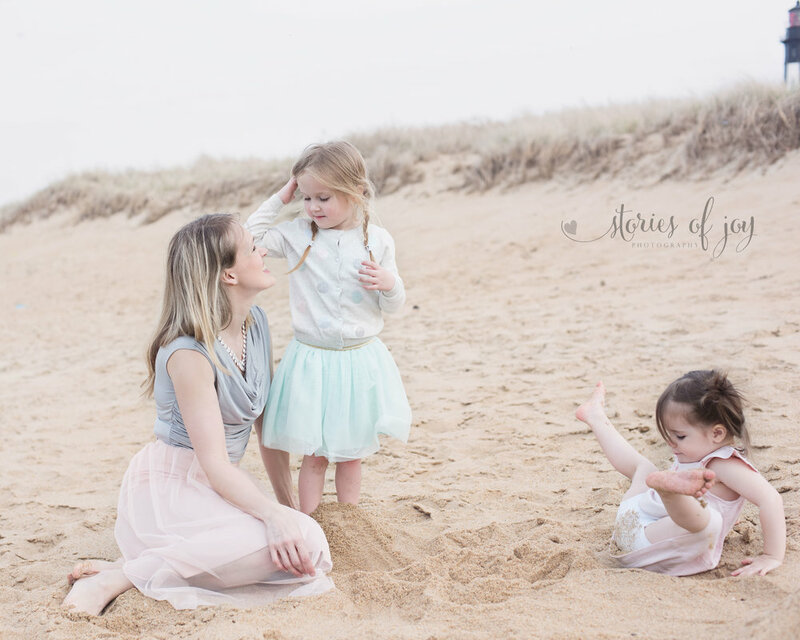 I call this a Mother's Day Beach Photo Session, because that is what it is in my mind. What this really is, is a photo shoot for military dad, who is deployed. Mom wanted to surprise him with some special photos of her and kids. 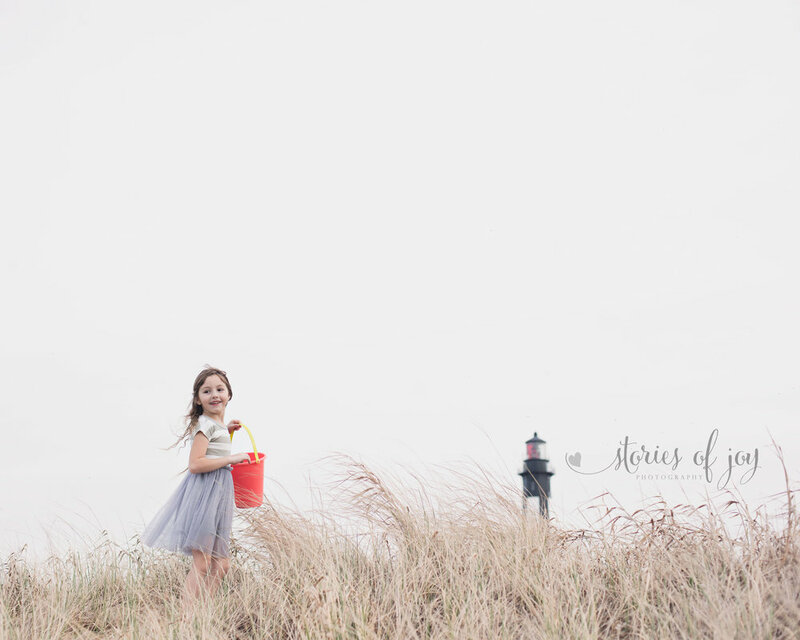 We had a gorgeous afternoon in Virginia Beach, exploring and playing at the beach. We wanted to make some traditional portraits as well, and honestly, the kids were less than thrilled at this part. But what I do, is take as many photos as I can in that setting, and know there will be keepers. 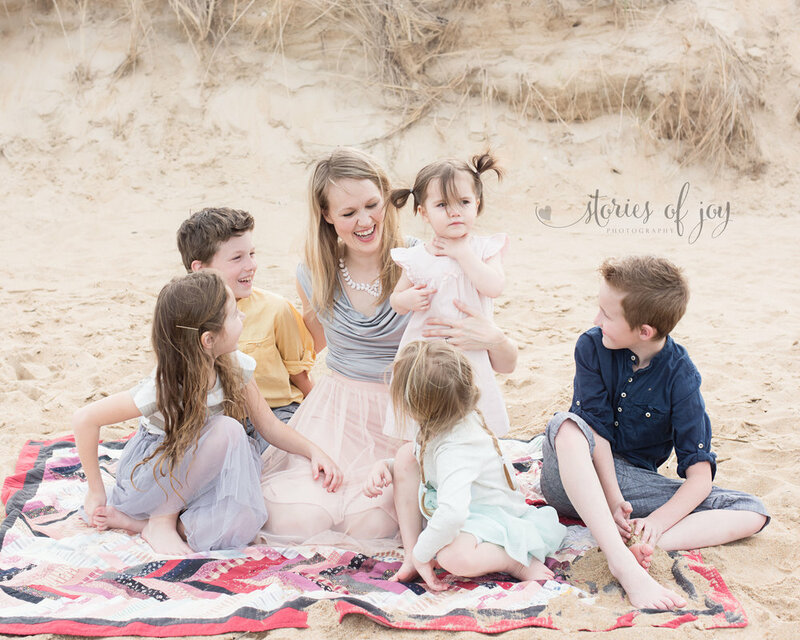 When you have children, and especially when there is more than one, and when they are young, my goal is not to get pinterest perfect smiles - I would much rather get images with kids' personalities showing through. In a One Hour Documentary Session we play and document the time together, focusing on sweet and fun moments. The forced family pictures are no fun for anyone. Not for mom or dad, not for the children, not for the photographer. My goal is to spend less than ten minutes of our session on traditional portraits. We get some in the beginning (just in case), and I snap some toward the middle or end, when everyone has had a chance to relax and have fun, and those usually end up being the favorites for everyone. 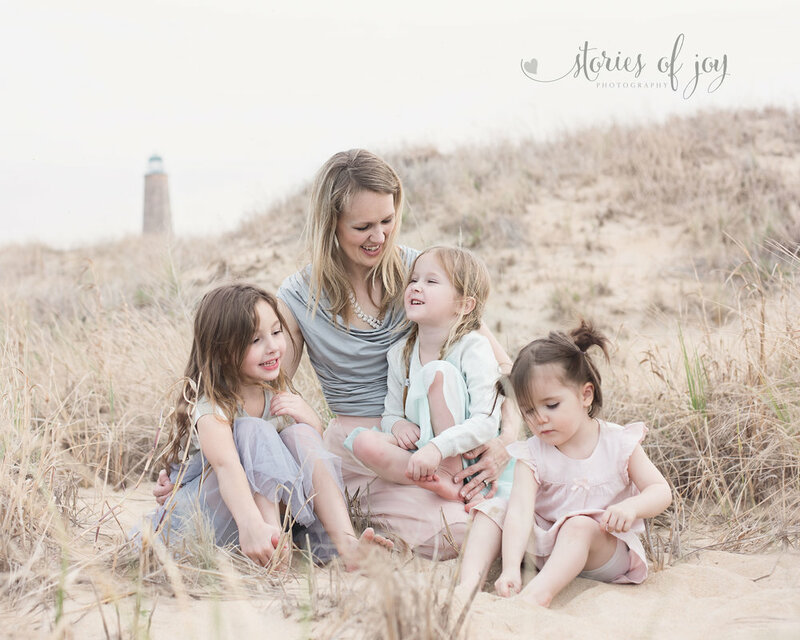 I am still booking my Mother's Day Special for your dreamy beach photos - or wherever you'd like your session to be. Book by April 15th! You can find more details here. And you can contact me through this link. You can call me, too, but the best way to reach me is by email. Are you ready to get some family photos of you and your family? The Mother's Day Special includes the session fee, ten social media digital images, and one 8x10 print in a gorgeous acid-free 11x14 mat. More matted prints and products like a photo book are available for a la carte purchase. Or if you are looking for the perfect gift for mom or grandma, my gift cards are available, too. 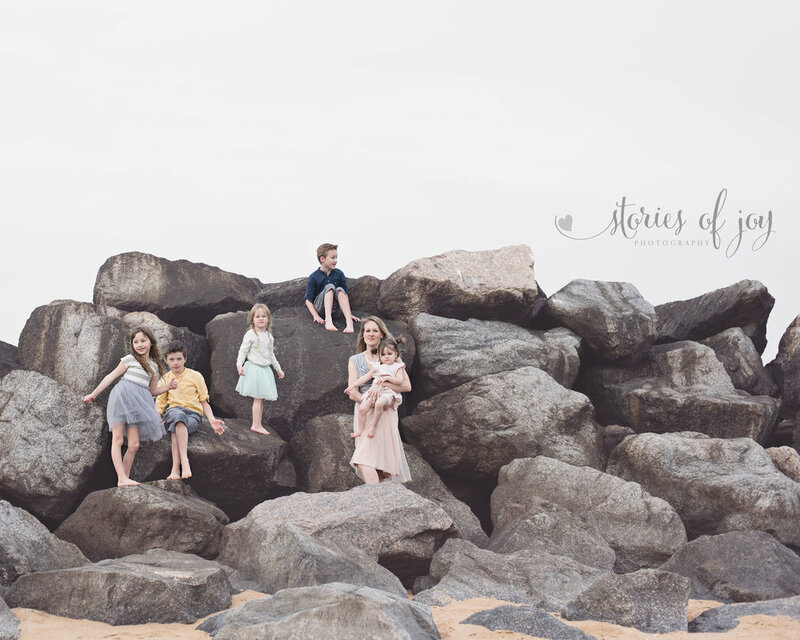 This session was done in Virginia, but Beach Sessions, One Hour Documentary Sessions and Day in the Life Sessions are available in Vero Beach, Sebastian, Fort Pierce, Stuart and surrounding areas this spring. If you are further away, let's talk - I do travel quite a bit. Only a few weekend dates available (and some weekday evenings), so book yours soon!